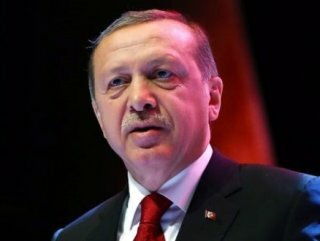 President Recep Tayyip Erdoğan has condemned the attacks on mosques in the New Zealand city of Christchurch calling it the "latest example of rising racism and Islamophobia." 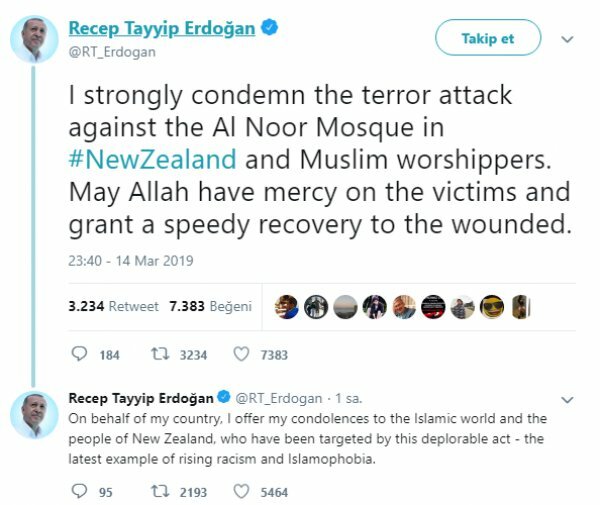 President Recep Tayyip Erdoğan strongly condemned two deadly mosque shootings in New Zealand on Friday. “I strongly condemn the terror attack against the Al Noor Mosque in New Zealand and Muslim worshippers. May Allah have mercy on the victims and grant a speedy recovery to the wounded.” President Erdoğan said on Twitter. He also wished a speedy recovery to the wounded. “On behalf of my country, I offer my condolences to the Islamic world and the people of New Zealand, who have been targeted by this deplorable act - the latest example of rising racism and Islamophobia,” he added. At least 40 people were reportedly killed in twin attacks at two mosques in Christchurch, according to Prime Minister of New Zealand Jacinda Ardern. New Zealand Police earlier reported that at least four people were taken into custody after the armed attacks.